YouTube has outlined new “repercussions” for egregious actions that harm the YouTube Community. The policy appears to be aimed at Creators who make a big negative splash, like Logan Paul. YouTube has emphasized that this is rare and the Creator’s videos and actions will be reviewed “in context”. Penalties include losing monetization and/or not having your videos recommended across the platform. This isn’t about free speech, it’s about not ruining the platform for the rest of us - most advertisers (and viewers) wouldn’t want to be associated with the site if it’s known for harassment or hateful behavior. Don’t have a Valentine’s day present for your sweetheart yet? Make them a Valentine’s Day movie in Google Photos. Google’s face recognition technology assembles a sweet movie of you and your boo, or if you aren’t in a romantic mood, your baby, cat, dog, mom or dad - see all the options by opening the Google Photos assistant, then clicking the Movie button. If you have a Pixel 2 phone, the photos you take via Snapchat, Instagram, WhatsApp or other apps should look a bit better, as Google is enabling HDR+ technology by turning on Pixel Visual Core. Just in time for the Olympics, Google introduced new winter sports Augmented Reality stickers for the Pixel and Pixel 2 Camera. Just open the Camera app, select AR mode and you will see the option to install the new stickers. Even if you don’t have a Pixel, you can play with AR stickers in the Android Motions Stills app. Google+ rolled out an update to the Android app. Notably the app has been rewritten using the latest Android app infrastructure, which will let new features be built on the latest technology. There are also a few feature updates, including a redesign of the image lightbox, and the ability to see and moderate spam comments on your posts. Google Drive now lets you comment directly on Microsoft Word, Excel and PowerPoint files and PDFs.You can watch the Winter Olympics online, either on YouTube or using one of the official apps. If you missed the Super Bowl … ads, watch the fan favorites on YouTube. Plus there are tips and updates for business owners, webmasters, travelers and more. 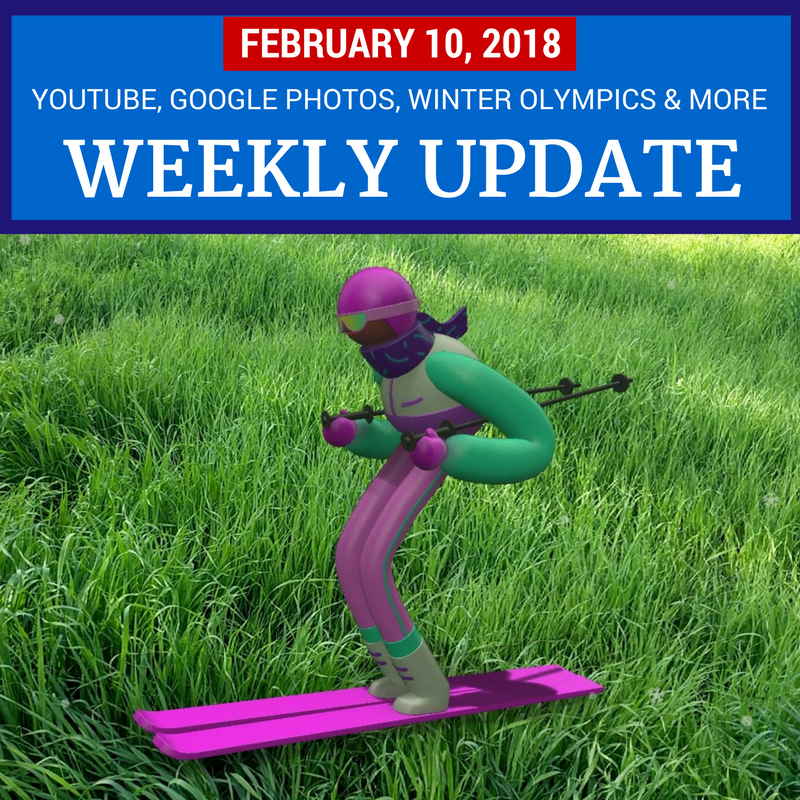 Image: California skiing : Pixel camera photo with skier from the winter sports AR stickers. It’s warm and sunny, and the grass is very green.